WITH THE MOST POPULAR GIRL IN SCHOOL. 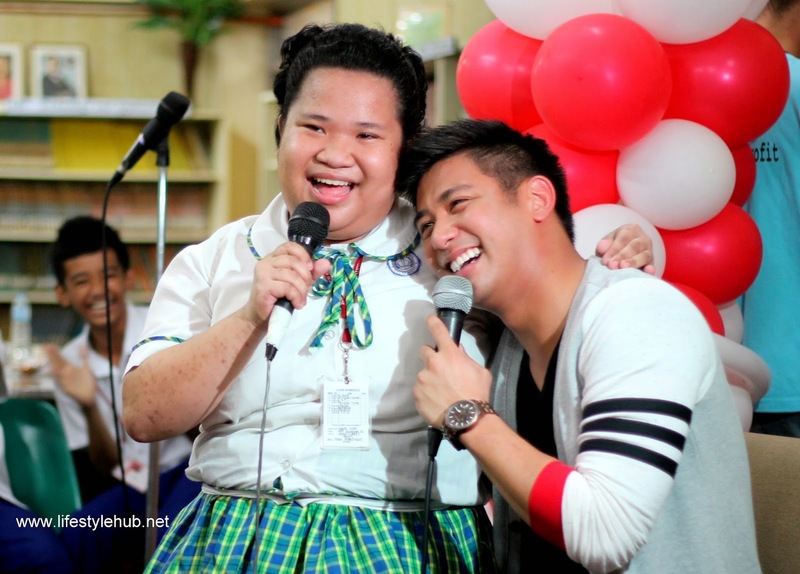 Students of Makati High School were all in support of Elsie Tupaz who offered a song for birthday boy Rocco Nacino. 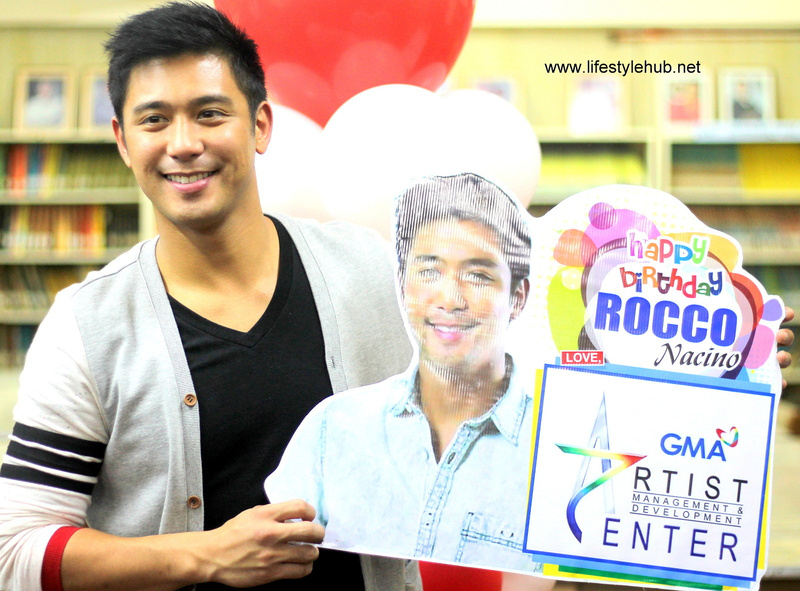 Rocco Nacino is one of the few Starstruck male alumni who made it to a leading man status after starring in his own drama shows. When he visited Makati High School last March 13 however, he was not there to tape a drama series. Rocco wants to give back to majority of his supporters- the high school students- by donating internet access to the school's library. The actor is turning 27 on March 21 but he said his high school memories are still fresh. "Alam ko gaano kahirap mag aral na walang resources. I know na challenging gumawa ng homework kasi kailangan mag research so importante talaga magkaroon ng internet sa school," he said. 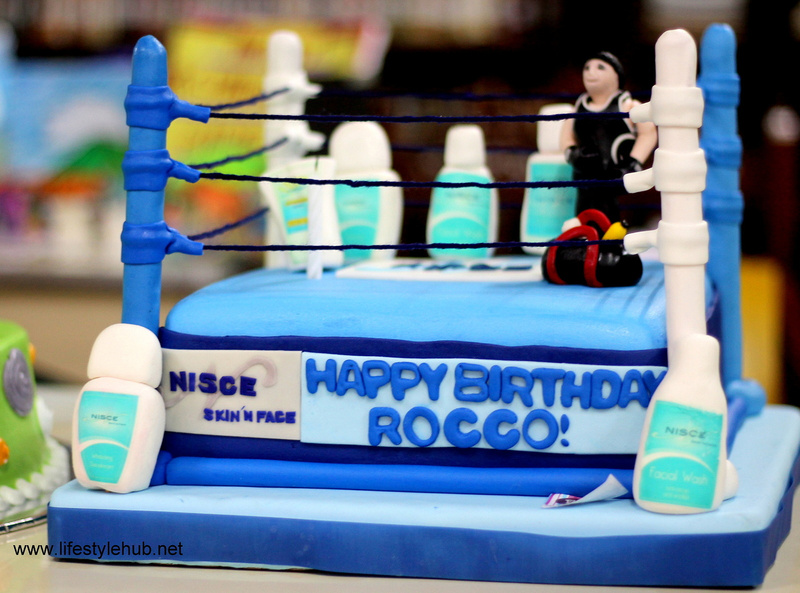 Born in Baguio, Rocco spent his grade school years in Singapore before transferring to Makati Hope Christian School in High School. Later on, he got his Nursing degree at the Mapua Institute of Technology. 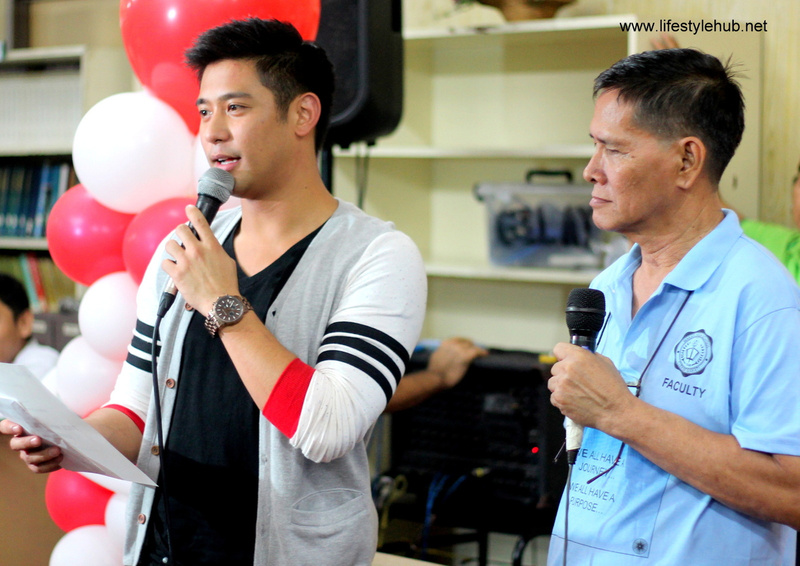 Before entering showbiz, Rocco is already a Registered Nurse. For his career, the Golden Screen awardee for Best Breakthrough Actor (Sayaw ng Dalawang Kaliwang Paa) is satisfied with showbiz so far. He hopes for good health for his family instead. Rocco is also set to return to Cinemalya this year. Here are some of the highlights of the actor's pre-Birthday party. 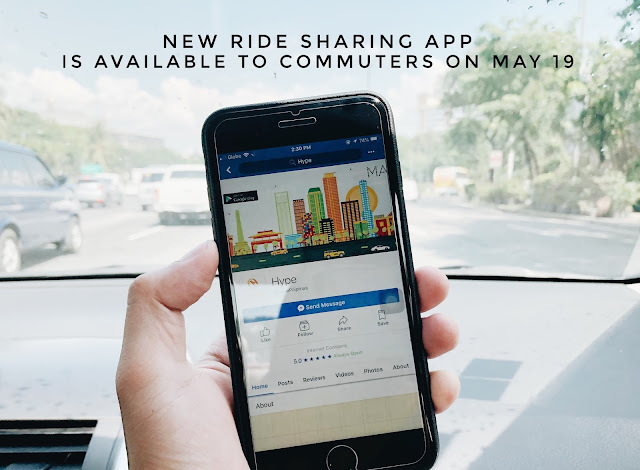 Rocco promised to shoulder 6 months worth of broadband internet connection for Makati High School's library.